The Cisco GLC-LH-SM 1000BASE-LX/LH transceiver is an LC duplex SFP transceiver applied for Gigabit Ethernet network. This module is designed for both short distance and long distance data transmission. If connecting with single-mode fibre patch cable, it can reach up to 10 km. If connecting with multimode fibre patch cable, it can go up to 550 meters. The GLC-LH-SM transceiver operates at 1310nm wavelength. This transceiver is compliant with Multi-Source Agreement (MSA) standards. LX means long wavelengths and LH is short for long haul. 1000BASE-LX is the Gigabit Ethernet standard specified to work over a distance of 5 km over single-mode fibre cable. 1000BASE-LH and 1000BASE-LH/LX are often used by the manufacturers. Thus, we often see 1000BASE-LX/LH instead of 1000BASE-LX. “Third-party” means a supplier (or service provider) who is not directly controlled by either the seller (first party) or the customer/buyer (second party) in a business transaction. For fibre optics industry, all fibre optic transceivers are defined by Multi-Source Agreement (MSA). MSAs strictly define the operating characteristics of fibre optic networking equipment. Therefore, as long as a manufacturer complies to MSA guidelines, their transceiver modules will function and operate identically to other manufacturer’s MSA-compliant transceivers. For example, the above fibre optics like GLC-SX-MM, GLC-LH-SM and GLC-T made by FS.COM are completely compatible with Cisco networking equipment. From the above introduction, you must have a well understanding about three common Cisco 1000BASE SFPs. When choosing SFP modules, you should consider whether it matches the switch port and the cable you have prepared. If you have multimode cable, then you can choose GLC-SX-MM 1000BASE SFP. 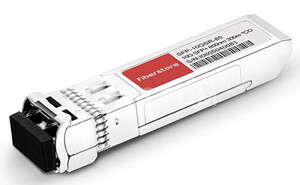 If you use single-mode fibre cable, you should select GLC-LH-SM 1000BASE SFP. While if your cable is copper category, you have to use GLC-T 1000BASE-T SFP. On condition that your budget doesn’t allow you to buy original brand module, you can buy the third-party optics from FS.COM with Cisco, Avago, HP and other compatible brands. All the optics have gone through test for 100% compatibility. Any question, please contact us via sales@fs.com. This entry was posted in Fiber Optic Transceivers, SFP Transceiver and tagged Cisco GLC-SX-MM, cisco glc-sx-mm-rgd, Cisco SFP, GLC-SX-MM, GLC-T on November 16, 2016 by laura.